Conflicting nightmares will bring the darkness to haunt you – The Sanctuary is here. Amidst the fog there is a silhouette, one that John was destined to meet, not by choice – but by fate. 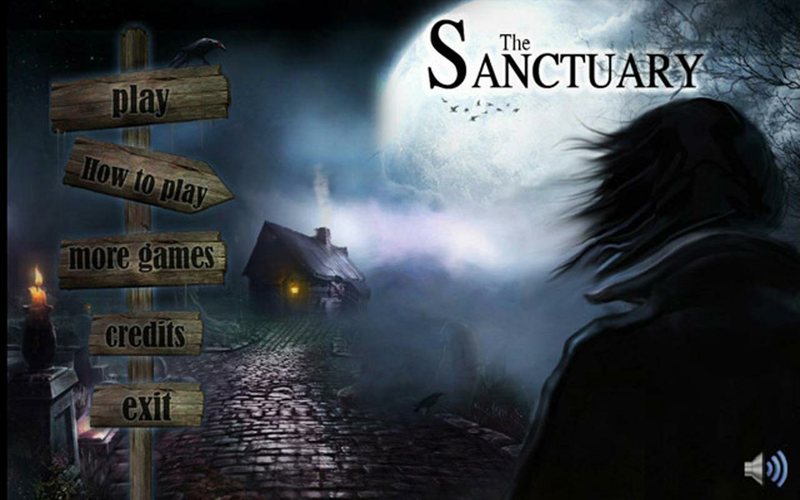 The Sanctuary is a first-person hidden objects horror game, a tale crueler than your worst nightmares. Are you brave enough to face The Sanctuary? Then download this great adventure game and find the hidden objects for free. John was travelling alone through darkened yet majestic fog in the middle of the night. Half-asleep he continued to drive; his eyes became heavy, the darkness engulfed his vision – and then he saw… it. At the last second he tried to avoid a fatal hit, skidding, sliding… colliding. You are now in a darkened room – the door is locked and you are alone. You only remember the humanoid face that forever haunts your mind. This horror adventure will take you to places that you would never want to go in a quest to survive the terror of The Sanctuary. So many questions are left unanswered in this free application, as you work your way through 21 exciting levels – you will slowly unravel the story. 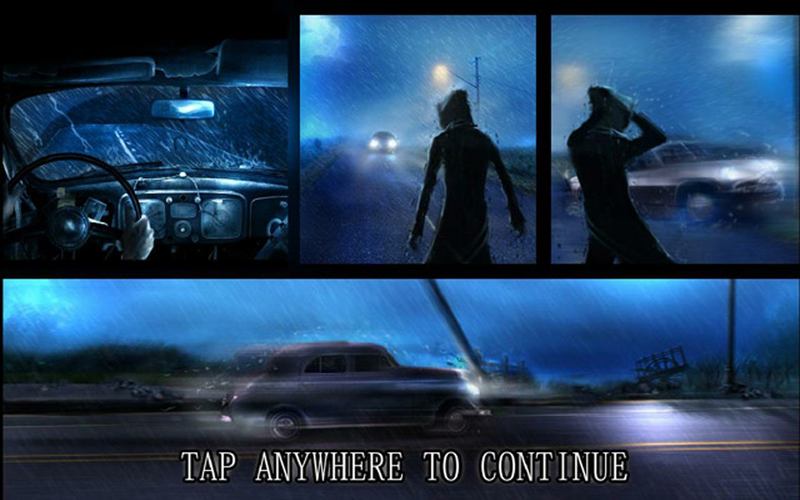 Point and click game style and seek and find genre meet in this ‘escape the nightmare’ themed story. Secret items are everywhere and you must solve the hide and seek riddles in this adventure. Escape from the house and your mind. This exciting adventure will push your mind to new boundaries with exhilarating graphics and addictive gameplay. Work your way through the terrifying story in a quest to regain some of the answers to this dark mystery. This thrilling story will keep you on the edge of your seat as you explore the house, collect items and unravel cryptic secrets. You will investigate and search the areas very carefully. You might look for hidden objects for free or take the items that you will need later on. 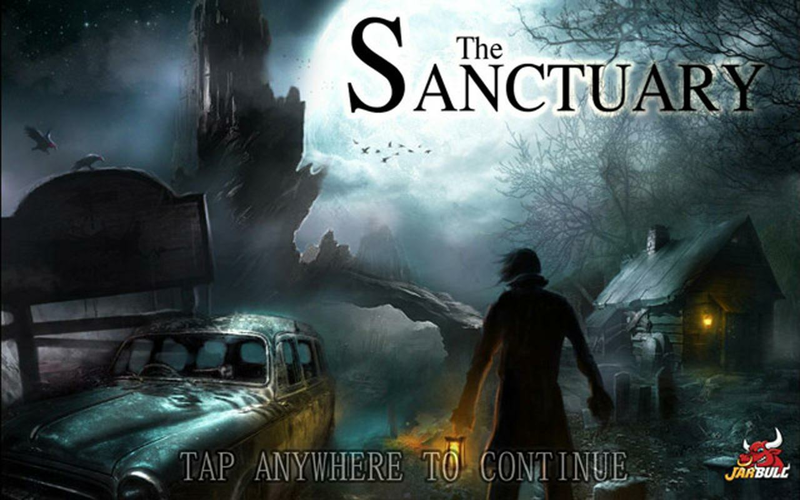 The Sanctuary is a game that offers you a completely unique experience. Help John to complete his quest and reveal all of his mysteries. In the game you will travel through fantastic locations and solve amazing puzzles. The story will take you through time, place, fantasy and memory. John needs answers to end this mystery and you are the only one who can help him. Play a free puzzle game like you’ve never seen before. This premium application is without charge and has fun and suspense for people of all ages. It seems like invisible items play hide & seek with you, and you must escape the room full of darkness and secrets. It is the best scary game for your Android phone or tablet. The controls are point n click style so it’s very easy to play. Grab this hidden objects for free. Can you escape this madness, and the puzzles of The Sanctuary? Download it now! The Sanctuary is far – but death has never been so close. – Thrilling and powerful horror themed story. – 21 levels that contain point & click adventure and hidden objects elements. – Challenging and adrenaline-induced mystery puzzles. – Majestic yet terrifying graphics. – Music, sounds effects and speech that creates an immersive experience.